With bags of wrapping paper and packaging that pile up by the curb, wish list items ticked off lists, and to & from cards and tags that get forgotten until next year, there is a lot of excess waste during the holidays. Metro Vancouver has launched its annual Create Memories, Not Garbage initiative this year with the addition of the Merry Memory Maker online app to inspire low-waste gift-giving and holiday traditions. I chose to make new memories instead of waste last year myself; that included an impromptu dance party, whole-hearted belly laughs, a bit of tension over sharing the green icing, an arsenal of rolling pins, and my mom putting flour on her cheeks to take “authentic” baking selfies. How, you might ask? I signed my family up for a baking class, which was an experience that has become a new tradition – and the best part of the holidays! My inspiration was my grandma, who was probably like yours: A champion hugger, kind with a bit of sass, and in possession of recipes for the most delicious holiday treats. Her holiday baking was legendary. She would start weeks in advance of December 25th with the nut rolls, move onto sugar cookies and those birds nest cookies with the jam on the top, then onto apple bars and sometimes even homemade doughnuts. All of these recipes were in her head, learned by heart over her many years, and unfortunately, they disappeared when we lost her a few years ago. Since baking has always been a part of our family’s holidays, my mother, sister, niece and I took it upon ourselves to start a new tradition: We would do the baking! However, there were a few holes in our plan such as: None of us were very good at it, and none of us had a kitchen that could accommodate such a bulk order of holiday treats for sustaining the family’s sugar cravings throughout the yuletide season. 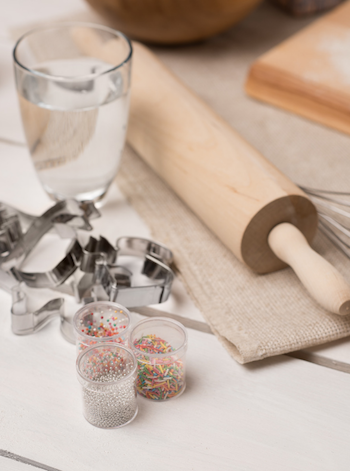 With a few clicks of a mouse, I found a cooking class in Downtown Vancouver that specifically hosted holiday cookie baking nights at a local cafe – our plan was set! It’s even easier if you’re planning an experience like this for this season, as Metro Vancouver’s Merry Memory Maker app has everything listed in an easily searchable format. We arrived at the class and everything was ready for us: The dough (sugar cookie or gingerbread) was pre-made, the decoration options were all laid out (sprinkles and candies, to various shades of icing in bowls and piping bags) and the cookie cutters were piled high in a box ready for selection. All of us were at our stations, dancing to festive tunes on the sound system, rolling out the dough, and loading sheet pan after sheet pan with characters and shapes. With a glass of mulled wine (or a mug of hot chocolate) in hand, we talked about plans for the season, and we talked about the past – memories as warm as the ovens around the corner where our creations were cooking. At the end of the evening, everyone took their cookie creations home with them in their own reusable containers. My mom brought a collection of round cookie tins for us, decorated with red and green ribbons, which were repurposed from last year’s gifts. We had tasty new treats, and a new tradition to continue this year! There’s no denying that there can be a lot of garbage and waste created during the holidays. This is why I was so happy to find a cooking class like this. Not only did it save each of us time and money, but it gave us new memories to cherish. The big batch that we each took home was so hearty that we didn’t need to purchase any extra packages of treats, candies or cookies that season. 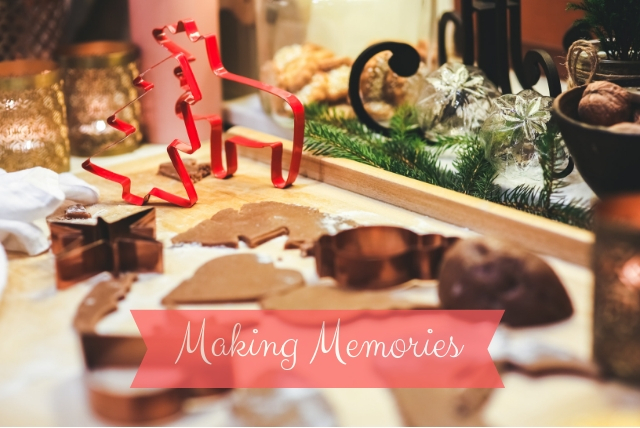 You can use Metro Vancouver’s Merry Memory Maker app this season to find gifts with meaning, whether it’s a new experience, like a cooking class, walking tour, or theatre tickets, or items that lead to more memory-making, like a whisk, mixer, travel gear or photo books. It’s funny, I don’t even remember exactly how the cookies tasted, although I know they were delicious because they barely lasted a few days on the advent calendar. But I do remember the cafe’s steamed up windows, learning new skills – like how to do flooded icing with piping bags and toothpicks – and what made my niece break her stoic teenage expression and end up in an all-out red-faced giggle. The holidays will never be the same as they once were. They’re ever-changing and constantly creating more laughs, more photos (seriously, my mom with those flour-cheeked selfies), and even more memories. We have cut waste a long time ago. We do not give each other nor any of our children gifts. All of us make a donation to the charity of our choice on behalf of the rest of the family. As I read this article I am concerned about the emphasis on sugar! Sugar is what is killing off the human race at an alarming pace. Scrap the sugar and enjoy a REAL Christmas! !